Sony Computer Entertainment says that its new motion control peripheral, Move, has 'greatly exceeded expectations' and successfully differentiated itself from Nintendo Wii and Microsoft Kinect. 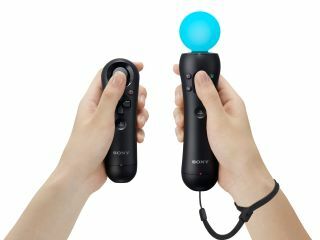 The latest comments on PlayStation Move come from Mark Stanley, GM of Latin America for Sony Computer Entertainment America (SCEA). Stanley notes that Sony has "been able to define the difference between Move, Wii and Kinect." The SCEA boss added: "We're actually continuing to catch up on filling the pipeline with product, as we are in the US and worldwide because demand has greatly exceeded our expectations." Sony confirmed last month that it had already sold.5 million Moves - 1.5m in Europe and 1m in the US - and is now racing to get more stock into stores in time for Christmas. "So far, we still don't have enough to supply the [Latin America] region and we're hoping to catch up," said Stanley. "Something as simple as Move is easily communicated. The difference is we've been able very much to define the difference between Move and Wii and Kinect, which has helped us quite a bit."